Balanced legislation in terms of policy for both trade and political concerns are essential to ensure rational and sustainable advancement. These require extended dialogue that is all-encompassing and transparent, which in turn will support the avoidance of disputes such as the row over the proposed Singapore-Sri Lanka FTA. There is much good to be got from Free Trade Agreements with developed nations such as Singapore, but at the same time there are fair areas of concern which could have been better managed through early open dialogue. Sri Lanka is beset with a myriad of industrial, societal and governance issues due to the implementation of unrepresentative and prejudiced policy not heeding scientific fact-based study, experience or global best practice. Decisions are far too often dependent on political leverage versus national output or productivity, and at times they are also the outcome of our inability to assert authority over influential governments, NGOs. A number of examples exist that impact lives, livelihoods, industry and revenues. On one hand, the government at one point decided to ban the import of chrysotile for asbestos – providing no real alternate to consumers, whilst importers and manufacturers charged that the Government was basing its “ill-informed decisions on bigoted maneuvering by international NGOs”. Consequently, on the back of the controversial ban on imports of Ceylon Tea to Russia, the Government deferred its decision to ban imports of chrysotile. “Government dialogue with the main stakeholder is very vital. There has to be a mechanism to have a constructive dialogue with stakeholders, in our case the construction industry chamber could have been contacted for their views,” the industry charged. Sri Lanka’s policy with respect to tobacco also presents a number of moot points, as the country boasts one of the most rigid and stringent regulatory regimes the world has seen alongside pricing. However, as detailed in an article published in The Economist last month, whilst price hikes in the form of ‘sin taxes’ do change behavior, since tobacco and alcohol products could be deemed addictive demand for them is not as responsive to price changes as some members in Government would say. “The point of sin taxes is to make unhealthy goods more expensive on a relative basis, not to make the poor poorer,” the article argued. In a country like Sri Lanka which has high smoking incidence amongst lower income groups due to the prevalence of illicit cigarettes and domestic alternates such as beedis, its imbalanced pricing and distribution policy does little to achieve its flaunted objective of curbing tobacco consumption and improving public health. Sri Lanka’s tobacco regulations show little concern for practical considerations, which has resulted in a large and growing informal market eroding State revenue. The global anti-tobacco lobby is led by the WHO, whom along with other well-funded NGOs pay scant regard to practical ground considerations, refusing to acknowledge or effectively tackle the problem of illicit and criminal elements, and focus their attention instead on licensed institutions. Sri Lankan politicos constantly rank high amongst the WHO’s list of award winners for their purported crusade against the tobacco industry. The Economist also quoted a study by the Institute for Fiscal Studies in the UK which found that people who only occasionally drink or smoke do their bodies little harm, but are taxed no differently to heavy smokers and drinkers. It adds that Britons who bought only a few drinks a week were far more sensitive to price fluctuations than heavy drinkers, and suggest heavier levies on products in favour with heavy drinkers such as spirits. In addition, why hasn’t Sri Lanka still considered a levy in the form of a sugar tax if it is so concerned for public health, given the rising rate of obesity and diabetes? These measures are popular across several developed markets in Europe and the Americas. The fizzy drinks industry is just as rich and powerful with its lobbying. 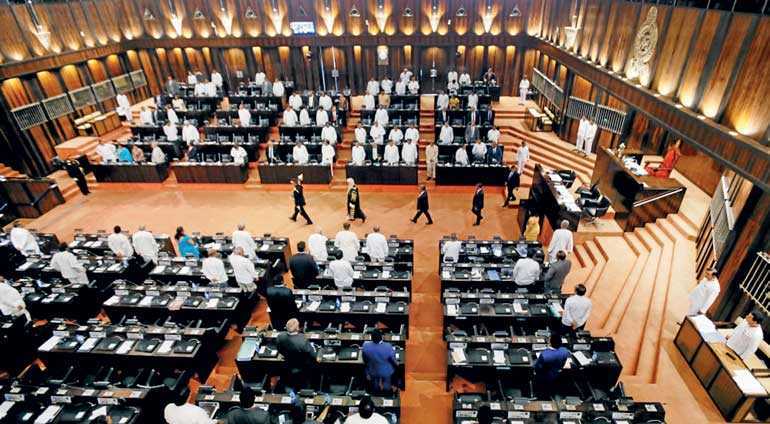 International lobby groups representing both government and private interests form powerful bodies that wrest great control and influence over minor states like Sri Lanka that are perennially on a back foot. The pendulum swings both ways and we the public along with industry are constantly at the mercy of the influencer and the influenced. The continuing global debate over glyphosate is one such predicament where the Government’s inability to discern what is best has impacted the lives, revenues and future of our agriculture industry. It simply needs to consider proven outcomes alongside science. Glyphosate has been employed by Sri Lankan industries for decades, and there is very little evidence – if at all – to conclusively state that the weedicide directly generates the said health concerns. In this era of modern mass manufacture, we as consumers devour many other day-to-day products that are far more carcinogenic than what the anti-glyphosate lobby makes it out to be. The ruling in California against the weedicide is once again a matter of opinion, and conceivably an outcome of similar engagement. What will our stance be, how will we move to protect our industries and their futures? Our Government needs to be strong and decisive; at all times it must consider the long-term best interests of the nation and its people on this journey towards development. We must learn to be strong and national-minded as demonstrated by the leadership of numerous Asian countries, and be unrelenting in the face of pressure. We cannot aspire to be the darlings of everyone around the world, what matters is that leadership carries out what it is justly convinced is correct to transform the lives and futures of its people. For that, governments need to have an honest and open dialogue with its public and industry, they must learn to be courageous and stand firm. Just ask as Philippine President Duterte.